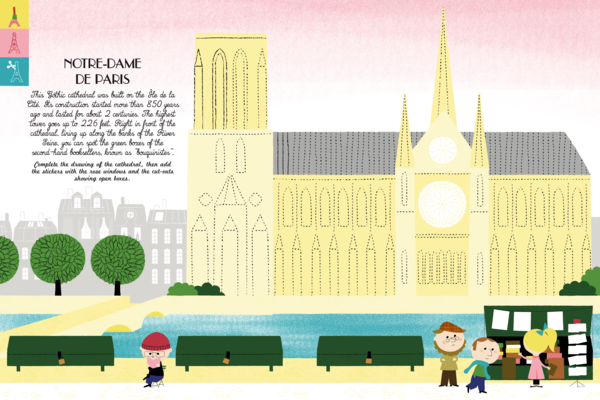 Paris is the most beautiful city in the world! 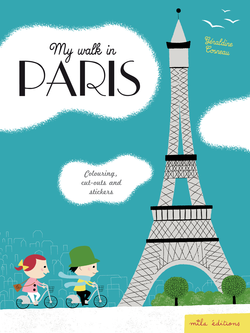 With this book, offering a walk in the city, you will get the chance to visit and discover it, while doing various activities. Each page will show you a beautiful monument, a surprising place or a typical Parisian scene, which you'll be able to complete, adding stickers and cut-outs, finishing the drawing or colouring the scene. 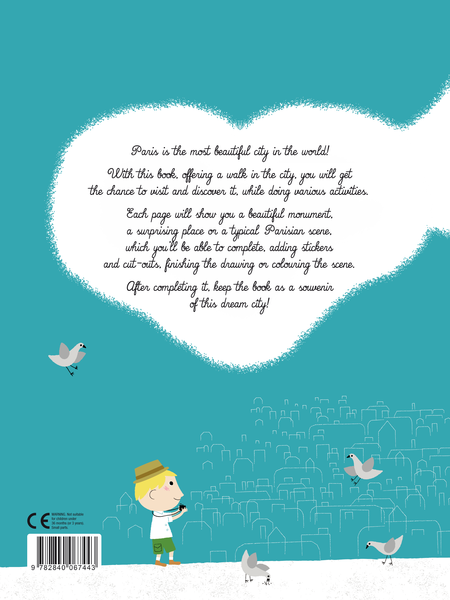 After completing it, keep the book as a souvenir of this dream city! with 2 sticker pages and 3 cut-outs pages. 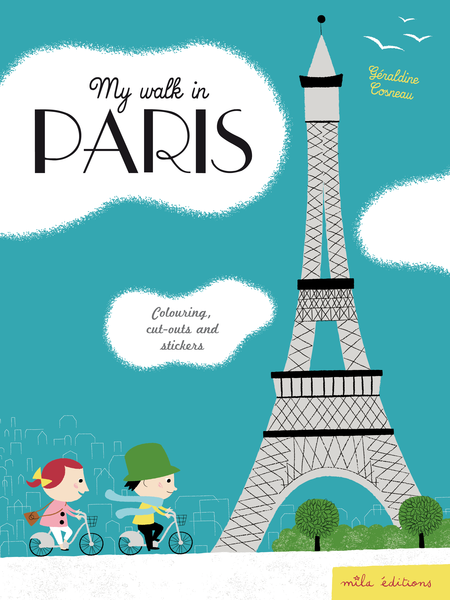 This book exists also in chinese, japanese and french versions : Ma balade à Paris.